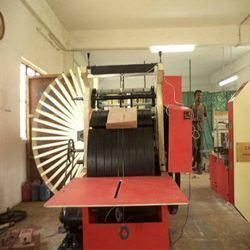 Manufacturer of a wide range of products which include deluxe paper cover making machine, medicine cover making machine, satchel paper cover making machine, textile paper cover making machine and paper cover making machine. 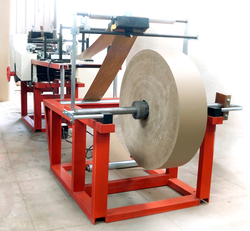 We are offering Deluxe Paper Cover Making Machine that is used in making medicine and tablet disposable covers. 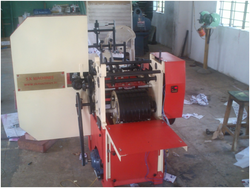 We are one of the leading preparers and of the Medicine Cover Making Machine in the market. The offered printing machine is made using ultra-modern technology and optimum quality components under the supervision of our adroit professionals. 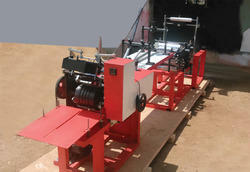 Available printing units: single & double color. Inking system: water base ink. Gazzetta 5 cm to 10cm.